READ MORE -> about The 4th ASF Virtual Race is on! Many of our grade 3 students and their teachers have had the opportunity and privilege to foster a partnership with La Gaviota during these past three years through Service Learning. La Gaviota is a pre-school in our neighborhood located only 10 minutes from ASF that serves both a general student and special needs population. Approximately 1,000 attendees and participants including Middle School students, their families, ASF employees and staff, and Lower School students accompanied by their teachers visited the first International Day at ASF hosted by the Middle School. To celebrate International Women's Day and promote the inclusion of women in science and technology, as well as engineering and mathematics (STEM), a special event took place at the Cisco offices in Mexico City, organized by the International Greenlight for Girls Organization. 150 girls from 11 to 15 from the ASF, Amextra, the Mazahua Community and the Pedagogical Institute for Language Differences attended. On March 5, the third ASF retiree breakfast was held in a restaurant in Mexico City. The group is steadily growing, and thanks to the efforts made by Human Capital, who bring together retired ASF employees to share their memories and reunite with their ex-colleagues and friends, 44 members were present this time, surpassing their goal of 40! The IB Diploma Programme visual arts course taught by Patricia Patterson and Sean Buckley at ASF encourages students to challenge their own creative and cultural expectations and boundaries. It is a thought-provoking course in which students develop analytical skills in problem-solving and divergent thinking, while working towards technical proficiency and confidence as art-makers. Thank You for Being Part of Run for Education! The 9th edition of Run for Education was a great success thanks to the support of AsDeporte, our sponsors, committee chair (Dalia Aliphas), committee volunteers and all participants. Click here to learn more about the event and see some photos! READ MORE -> about Thank You for Being Part of Run for Education! On Monday, March 11, Indiana University, a soccer powerhouse in the United States, used the soccer field at ASF for a training session. The team brought with them, the Sports Media students who are covering Indiana's playing tour in Mexico City this week. At noon, in the WEC, John Sutcliffe, of ESPN fame, and the Sports Media students from Indiana University, met with a group of Upper School students to discuss Sports Media as a profession. The Shakespeare Competition organized by the Anglo Mexican Foundation is a curricular-focused program designed to assist students in the development of their language skills and dramatic talent, from the memorization and on-stage representation of both a monologue and of a sonnet by William Shakespeare. The ASF girls varsity soccer team dominated the final ASOMEX championship match with a convincing 3-0 victory over John F. Kennedy School from Querétaro. María De Lluch, Regina Adame and Laura Herrera each scored in the final match. We would like to recognize our swim coaches, Tere Rivera and Martha Cordova on giving up nearly every weekend during the school year to work with students. TGIF means something different to our swim coaches. For them, it means a long weekend of school swim competitions and travel to the swim meets throughout Mexico. On Friday, February 8, the Paul Williams Upper School building slowly filled up, as our ASF students left for their weekend and debaters from all across the city joined us for the 9th ASOMEX Debate Tournament. Fourteen schools participated in one of the largest tournaments of the city, encompassing 30 teams and almost 200 people. On February 22, ASF celebrated Founders' Day, in a traditional event where students who represent ASF values are recognized, along with a parent, a faculty member, and a staff member. The CAS Fair takes place in the second year (grade 12) of the IB Diploma Program and is the culminating moment after 18 months of work done by the full IB diploma students. Starting in September of their junior year, students have to engage in experiences in the areas of activity, creativity and service. The Spanish Book Fair was a Real Page-Turner! We would like to give a big shout out to all the volunteers, parents, students, grandparents, faculty, staff, librarians, extraordinary guest authors, administration, FAC, audio, IT, operations, security and Librerías Gandhi, who made out Spanish Book Fair awesome! READ MORE -> about The Spanish Book Fair was a Real Page-Turner! ASF teachers, Louise James, Hugo Salcedo, Tara Munroe, Bertha Martínez, Marc Smith and Javier Campos, along with students from the Minecraft Club, Matthew Brownrigg, Alejandro Ibarra, David Leroux, Stanislaw Ostik from Minecraft Club presented at Humanitree for the first annual Teacher Techie Fest. Grandparents and grandfriends visited their grandchildren in the ECC for a day of bonding and entertaining activities. The event, which was originally envisioned by Adele Goldschmied eleven years ago, has become a wonderful tradition at ASF that our families look forward to each year. ASF welcomed the Chinese Dragon Troop (representing the Chinese Delegation in Mexico) on campus, and celebrated the Chinese New Year with a series of performances for students, in order to show them more about the Chinese culture and celebrations. Enrique Valero, a senior at ASF, recently received an international scholarship from Grinnell College in Grinnell Iowa, U.S.A. 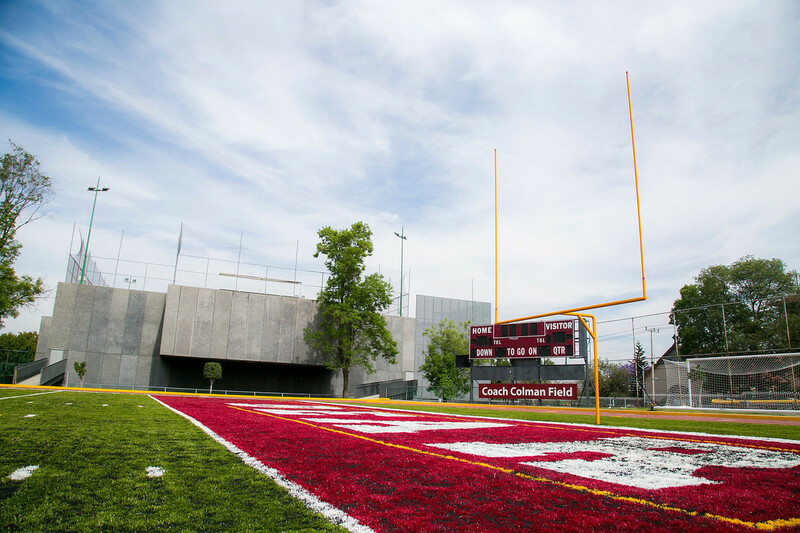 The University participates at the NCAA (National Collegiate Athletic Association) division three-level and has finished the last three years as champions in their university league. In January 2019, Chilango magazine named the ASF Lower School the best private lower school in Mexico City, recognizing our highly qualified faculty and staff, our state-of-the-art learning facilities, exceptional programs promoting values and celebrating diversity and our robust curriculum. Congratulations to everybody in the Lower School! Congratulations to students Tomohiro Nozaki, Enrique Valero, Mark Van Eybergen and Simón Bermúdez as well as to Head of Swimming, Tere Rivera, and Varsity Head Coach, Martha Cordova on an outstanding fall season! READ MORE -> about ASF Makes a Splash! Talented Students Take to the Stage! Before leaving for the winter break, Lower School and Middle School students took to the stage of the FAC, for a series of stellar performances including theatre, music and magic! READ MORE -> about Talented Students Take to the Stage! A Day of Charitable Shopping! ASF was overcome by Holiday Spirit during this year’s Holiday Bazaar, where guests were able to shop for one-of-a-kind gifts, pick up some tasty treats or enjoy a snack on the go! READ MORE -> about A Day of Charitable Shopping! In an arduous two-day tournament held from November 30 to December 1 at the Liceo Franco Mexicano, our ASF Debate Team participated in a round-robin, demonstrating their previous research and all the hours they had put into their oratory skills during our weekly practices. The Art Fair, held every November at the American School Foundation, is one of most anticipated events each year at ASF. Every year, the Parent Association organizes the Art Fair as a great community-building event and the main fundraiser to support the Endowment Fund for Financial Aid, as well as the many activities throughout the year for our community. Varsity and JV Running Team Continues to Build Program and Succeed at ASOMEX! Last weekend, at The American School Foundation in Monterrey, the Bears set new limits and records for future teams to aspire to. A total of 30 medals were won! 12 gold medals, 12 silver, and six bronze! 23 student-athletes from grades 6-12 competed with pride and honor for the Bears! READ MORE -> about Varsity and JV Running Team Continues to Build Program and Succeed at ASOMEX! ASF's Varsity Boys Basketball team competed against The American School Monterrey, The American Institute of Monterrey Preparatory School (APS) and the Peterson Schools during the latest ASOMEX Basketball C Menor tournament where the ASF Bears got the victory. Our 16th Annual Golf Tournament, hosted by the Institutional Advancement Office, was a wonderful community building event, which helped raise funds for the Endowment Fund for Financial Aid. Faculty and Staff from ASF participated in a small exhibition that showed another side of their lives. Visitors and parents saw a range of skills and techniques in this exhibition during Back to School Nights and hopefully learned something new about who they are in addition to the roles they play at school. The Canadian Ambassador, Mr. Pierre Alarie, joined us to talk about his own career choices and convince students to not be afraid of change but to truly embrace it, not only in business-related scenarios but in our daily experiences too. We would like to thank all the families and friends who attended the Tradition Meets Innovation cocktail event, where our community got to meet the Syltes in a relaxed and friendly environment. The event, hosted by the Institutional Advancement Office in partnership with the Hotel Presidente Intercontinental, took place in the Alfredo di Roma restaurant. The 2018 Junior Eco Engineering Academy was held by Samsung in South Korea from August 7 to 9. A total of 20 students from 12 countries, attended. Among them was Stanislaw Ostyk Narbutt, a then-grade 8 student from ASF, who was selected thanks to a video, relating eco-engineering to space travel. Students Meet our new Executive Director! Mr. Mark Iver Sylte, our new Executive Director, welcomed students from Lower School to Upper School back on campus for the 2018-19 school year. During a busy morning at school, Mark met with students, Heads and faculty, to begin to build relationships with new peers and lay foundations to help ensure a smooth transition to ASF. READ MORE -> about Students Meet our new Executive Director! Our boys and girls varsity soccer team are both defending champions of ASOMEX. The boys have been in the final three years running with two championships and the girls have been in nine consecutive championship matches winning four times. Both teams will face a tough field eager to defeat us. Register Now and Run for Education! Run for Education is happening on March 10. It is a community building event coordinated by the Alumni Relations area from the Institutional Advancement Office with As Deporte as an underwriter of the event. This is a form of raising money for the school's Endowment Fund for Financial Aid through sponsorships. Participants run a distance of 5k and 10k or walk a 3k route. READ MORE -> about Register Now and Run for Education! Visit the Spanish Book Fair! Join us for this year's Spanish Book Fair! From February 11 to 15, visit the Ángeles Espinosa Yglesias Fine Arts Center lobby and marvel yourself with a wide selection of books for all ages! READ MORE -> about Visit the Spanish Book Fair! The ASF Board of Trustees has initiated the process of identifying, evaluating and, ultimately, proposing members of our community for the open positions on the Board of Trustees. Here's our nominating committee. The 12th Local Academic Recruiting Fair is Almost Here! On Saturday, January 19, ASF will hold its 12th Local Academic Recruiting Fair. Read this article to learn more! READ MORE -> about The 12th Local Academic Recruiting Fair is Almost Here! Come join us at our traditional Holiday Bazaar and find the perfect gift for family and friends! The bazaar will be held on November 28, 29 and 30 from 8:00 a.m.-4:00 p.m. in the Lower School Multipurpose Room. All ASF Community members and friends are invited to the ASF 49th Art Fair, which will be held on our campus on Saturday, November 10, from 10:00 a.m. to 5:00 p.m. The Art Fair is a long-standing tradition at ASF and is a great opportunity for all of us to come together, have fun and share a moment with family and friends while celebrating the arts. Don't miss our first Back to School Night hosted by Athletics and Extended Learning! Join us on August 9, and find out more about the sports and activities that your child will be able to participate in during the new school year. Susan Olivo has been a part of ASF for the past 22 years, starting out as a grade 1 teacher and navigating her way to Head of the ECC. 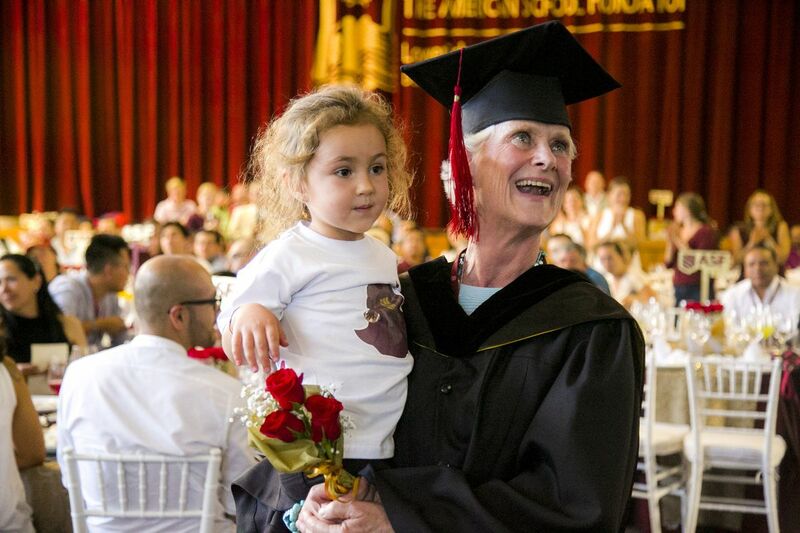 Before she leaves on her well-deserved retirement, we interviewed Susan, who will undoubtedly be back at ASF again, this time, in her role as a loving grandmother! READ MORE -> about Thank you, Susan! 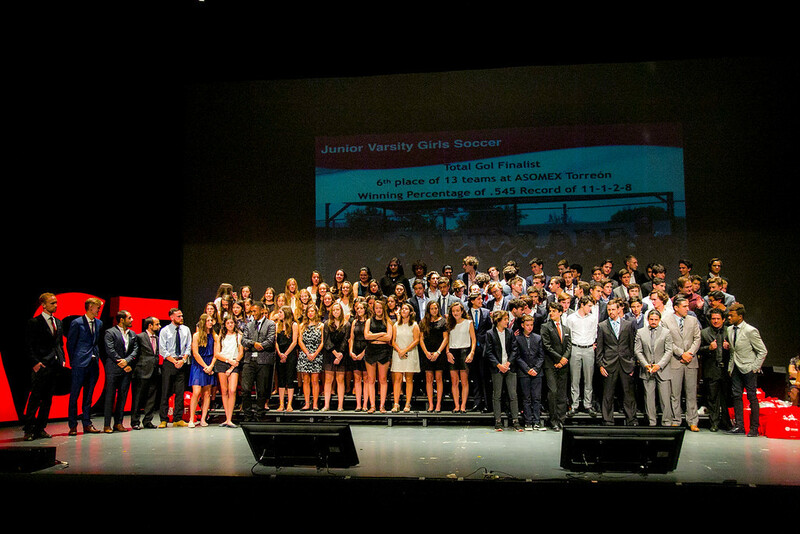 On May 24, the Bear Boosters held the Athletic Excellence and Sportsmanship Award Gala to honor the school's outstanding athletes.